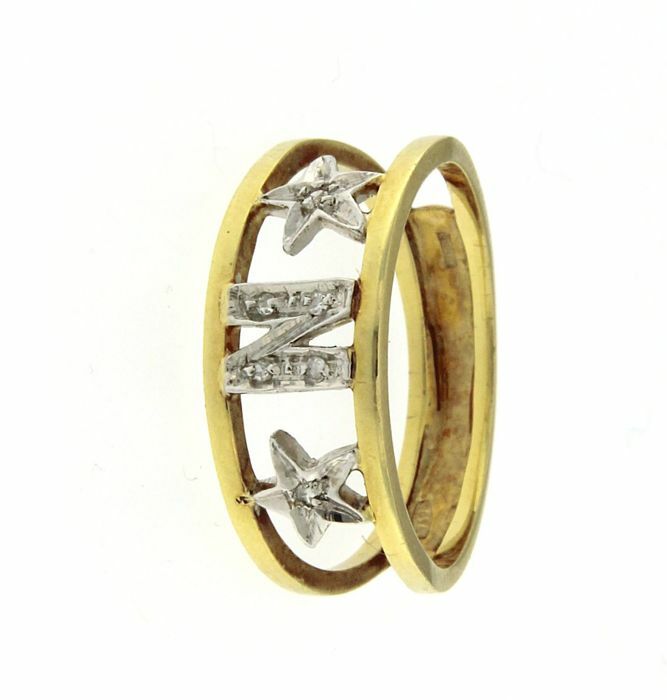 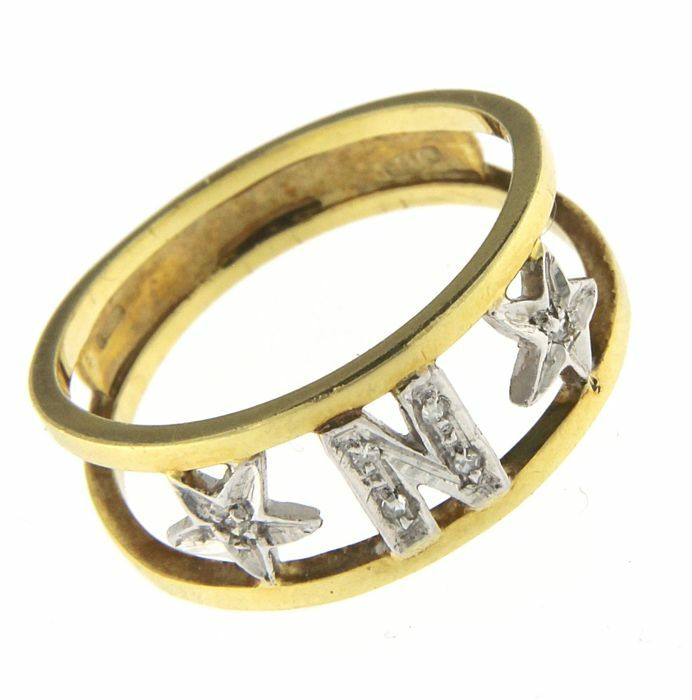 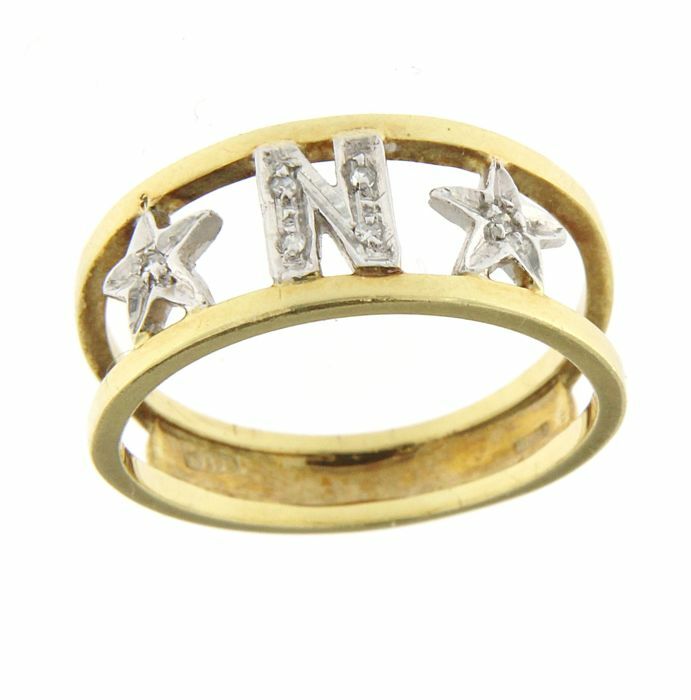 The total gold weight is 3.50 g.
Sweet ring with letter "N" and two stars at the sides. 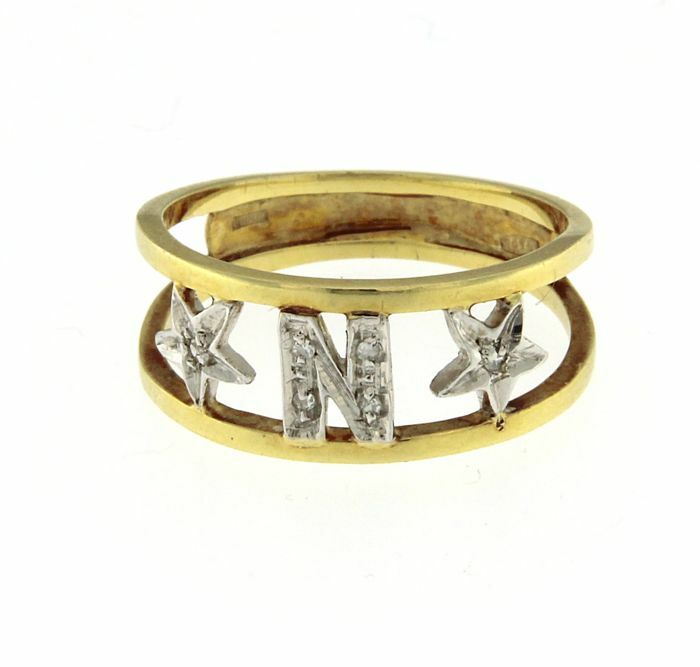 Both the letter and the stars are set with 9 white diamonds. 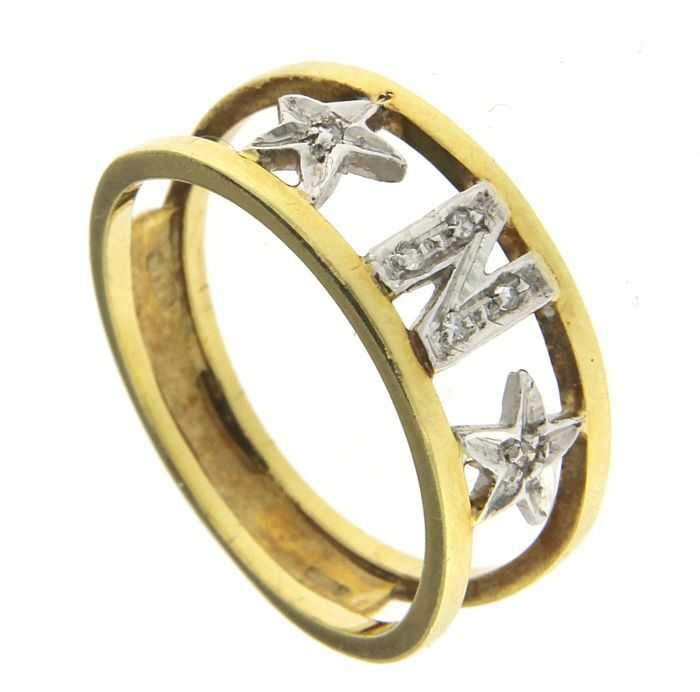 Transazione veloce. Bella collana. 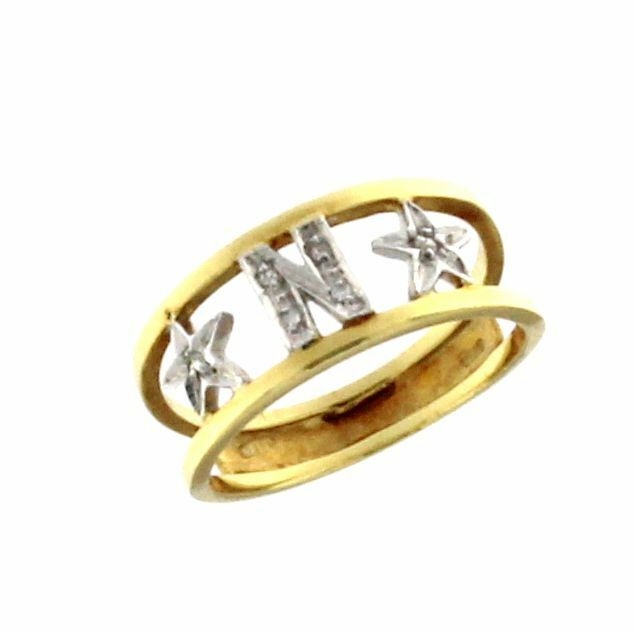 Venditore raccomandato.